Simply great. 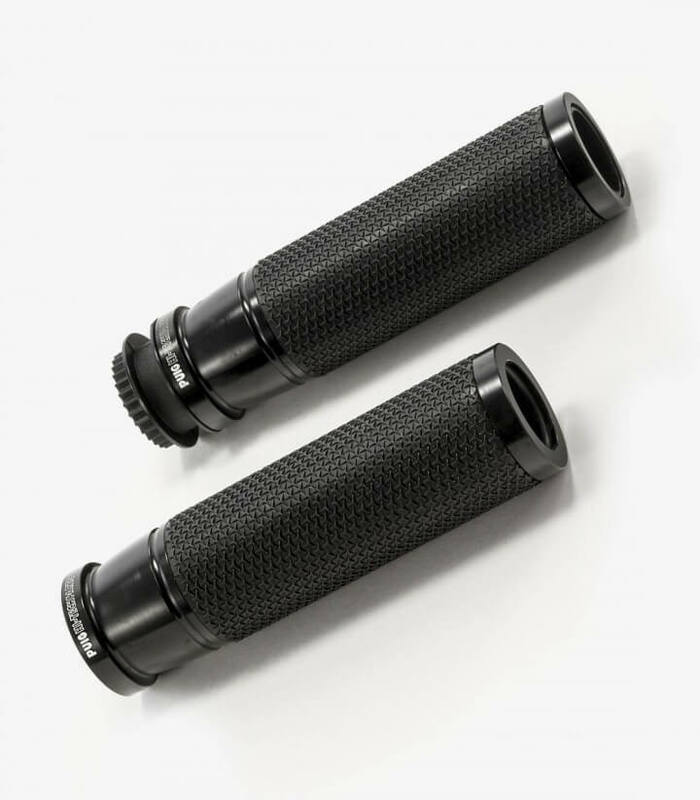 Puig’s Ascent grips have a very simple and minimalistic style that allows you to change radically the looks of your bike, maintaining at every moment a clean style without extravagance. Made with light aluminum visible in its corners and black anti-slip rubber in the central area. 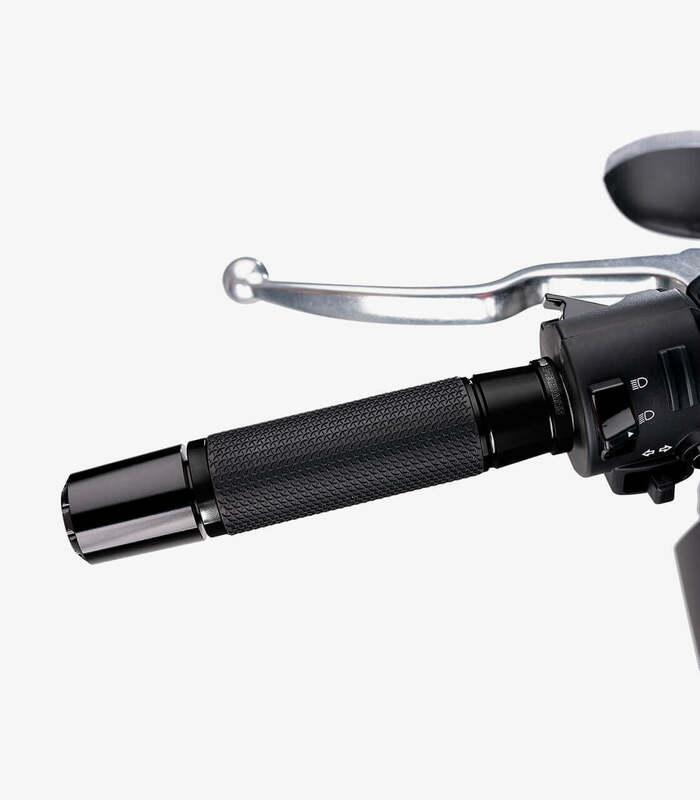 The aluminum area of this model is available in the following colors: black, silver, red, golden, blue and green. They weight only 94 grams, so you shouldn’t worry about the extra weight. The central area made of rubber is completely anti-slip, to avoid slips. 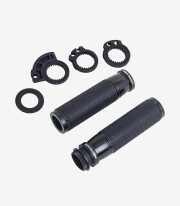 The adapters for the gas shank are included, needed for their installation.